tags: Christmas, Holiday Catalogue, Online Shopping, Project Kits, Stampin' Up! Hope you have all had a look at the new Holiday Catalogue by now. Isn’t it amazing? There are some great stamp sets and dies and all sorts of inspiration for our holiday creating. Something you might have overlooked on page 33 of your catalogue is the Watercolour Christmas Project Kit. This kit contains everything you need to create 20 cards – five each of four designs, except the co-ordinating Watercolour Christmas stamp set, dimensionals, adhesive and a Basic Black ink pad. 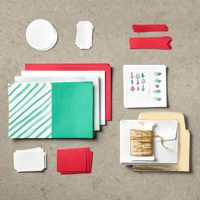 It’s a fabulous idea to get together with friends or just to use to create lots of cards for your Christmas mail outs. The quality of the card bases and the extra pieces if really excellent and the co-ordinating stamp set is a great one to have in your stash. You have already seen a couple of cards I have created using this stamp set and I am sure you will see many more. I love it’s simplicity and the beautiful font in the greeting stamps. There is also a great stamp to add to the inside of your cards, making them complete. Here is a bit closer photo of two of the cards. Lovely aren’t they? I didn’t mention that the kit also contains envelopes and beautiful gold envelope liners. I love this idea, now not only have I got some sensational cards to send out, the envelope will be a show piece as well. I hope that you take the time to have another look at this kit and see the possibilities. 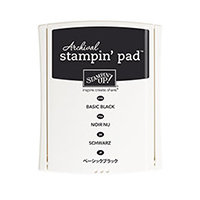 And just to give you a little more idea about the kit, take a look at this video with Holly from Stampin’ Up!. 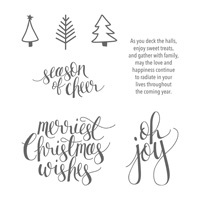 from → Christmas, Holiday Catalogue, Project Kits, Shop online, Stampin' Up! It is a lovely kit, easy to do and open for variation.